ACTA is pleased to offer access to training programs to help you become an industry specialist and increase your knowledge and level of professionalism. You will find these continuing education opportunities available through the ACTA Campus. The available courses offer credits that can be applied to your workplace experience for those working on their professional designation of Certified Travel Counsellor. Here is your one stop education platform to access a world of training. Become an Travel Industry Specialist today! More information. Travel counsellors need to acquire industry related experience as one component of the certification program – so they are looking for “ACTA Approved” training programs from suppliers. ACTA offers Live and On-Demand webinars that are CTC/CTM accredited. We invite our travel agency partners to join us to learn about the wide variety of opportunities available when selling travel to destinations around the world. Learn the latest trends and tips and tools to help your business. 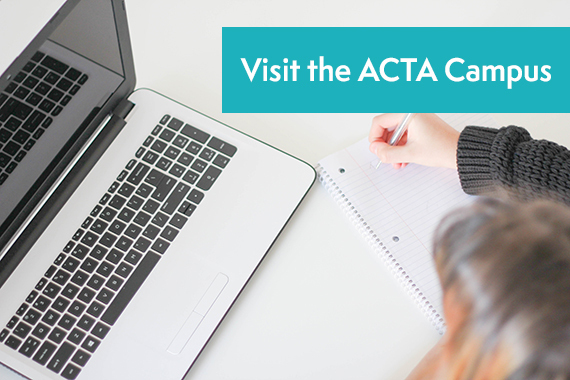 Click here to view the LIVE and On-Demand webinars on our ACTA Campus. Please note: The webinars are also available on our ACTA Website and Members Only Section. FAM trips allow travel counsellors and managers to experience destinations, visit hotels and immerse themselves into cultures that will increase their knowledge and passion in selling destinations to their clients. With successful FAM trips operated to Jamaica, United Arab Emirates, India, Taiwan, Fiji, Iceland, Jordan, Kenya, Peru, Sri Lanka, Tunisia and more we will continue to offer our members the opportunity to discover and explore some of the most desired travel destinations in the world! FAM trips are for full time selling travel counsellors and managers. Click here for our listing of current FAM Trips being offered to ACTA Members.